Your air conditioner is acting funny one day. It doesn’t seem to be cooling your home much. You’re doubly sure it’s not cooling the home when you put your hand up to the air vent and feel very little air (despite the fact that you can hear the AC’s fan blowing). So you go to investigate, and what you find in your indoor AC unit is a giant, frozen over block of metal! 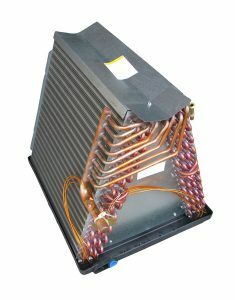 The block of metal is nothing unusual—that would be your evaporator coil. Read on to find out why a frozen evaporator coil is enough to warrant an emergency call with a North Olmsted HVAC company. 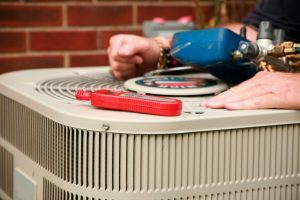 Is It Time to Call an AC Repairman? We understand no one really likes calling in for air conditioning repairs. If you’re absolutely desperate, sure, you’ll reluctantly call in. But before it gets to that point, you might be wondering if you can put off that call just a little bit longer. You could, but you’d be placing your AC at risk of damage and possibly add some unnecessary dollars to your energy bill. We’ll give you a few scenarios where you really don’t want to put off that AC repair call any longer. 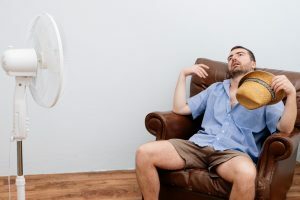 Posted in Air Conditioning | Comments Off on Is It Time to Call an AC Repairman? An air conditioner that blows hot air instead of cold air. But we’re not just saying that as some kind of joke. 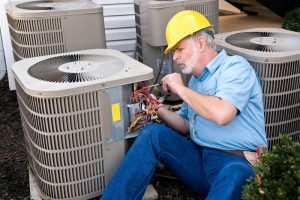 There are certain kinds of AC issues that can do the opposite of what your AC is intended to do. If your AC is ever blowing out air that isn’t cold, there could be a problem. We’ll help you figure it out so you can know whether you just need to reprogram your thermostat or if it requires calling an air conditioning expert in Fairview Park, OH. Posted in Air Conditioning | Comments Off on Why Is My AC Blowing Hot Air? Some equipment you only use part of the year, such as a lawn mower or a snow blower. Otherwise, it’s out of sight and out of mind. That is until you need to mow your yard or clear a driveway. Then you worry about all the things that might go wrong in your time of need. The same is true for your AC system. For much of the year in Ohio, it’s on the backburner. 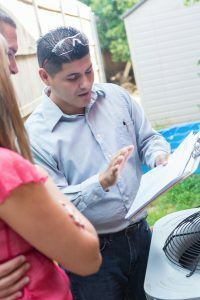 When summer arrives, however, be on the lookout for these common signs of AC trouble.